Back in January, we shared the idea of dedicating 45 minutes each day to mini tasks with the goal being a chore-less weekend. Due to all the questions and curiosities, we created a mini-series with tips and tricks and a list of tasks that could be accomplished room by room in under 5 minutes. Fast forward 10+ months later and not a week passes that we don’t get a message about it. That said, we’re dedicating a blog post. Let’s start from the beginning. What are mini tasks? Mini Tasks are tasks that can be completed in 5 minutes or less, in total or in stints. 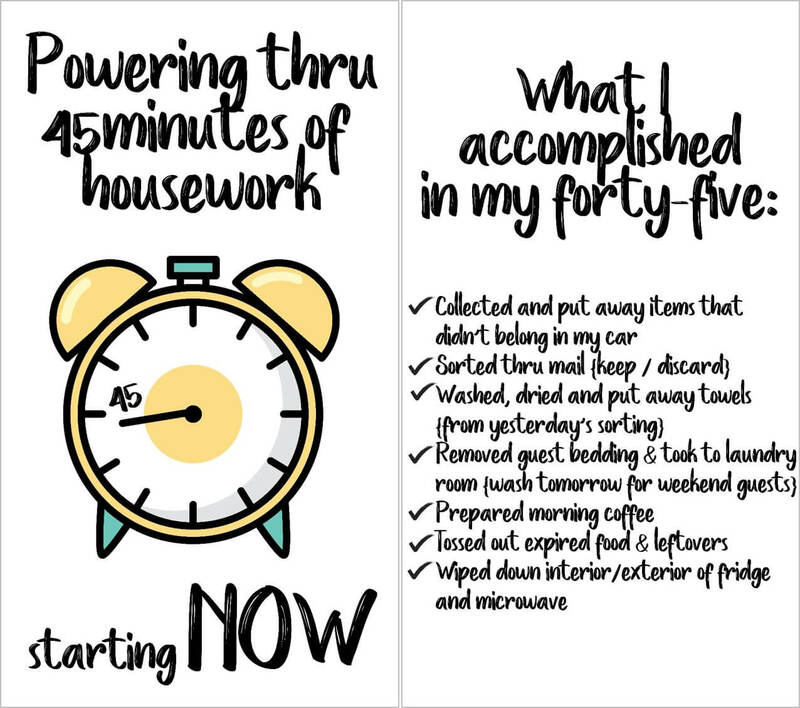 In total meaning, the task can be fully done, completed and checked off the list within 5 minutes time; for example, unloading the dishwasher. Completing a task in stints refers to completing one part of a bigger task; for example, laundry has many steps from start to finish so each step (sorting, washing, drying, folding and putting clothes away) is a stint. Every day, for a week, we shared what we were able to accomplish in 45 minutes, example below. With each passing day, the number of questions grew, as did the shares, and many of our insta-friends began implementing the practice as well. We decided to create a master list of mini tasks by room, both for easy reference and as a guide for anyone stuck on what could actually be completed, in total or in stints, in 5 minutes or less. We have emailed the Master Mini Task List to over 500 people since creating it and now we are archiving it here for easy reference. Go ahead and print several copies so you can distribute them to everyone in the house. Okay, maybe wishful thinking; however, we do advocate asking for help! A few call-outs: You can choose any amount of time. It doesn’t have to be 45 minutes. On most days, the amount of time will vary. You may have 45 minutes on Monday, Tuesday and Thursday but only 30 on Wednesday and none on Friday. For us, kind of like the gym, committing to a schedule kept us accountable; however, this is not an all or nothing kind of thing. 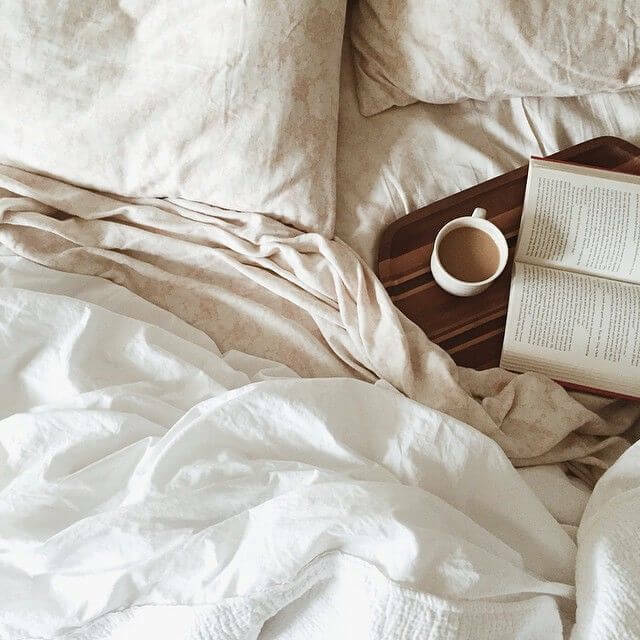 The goal is to knock out small tasks during the week so your weekend isn’t so burdened with chores but rather filled with more time for the things you like!